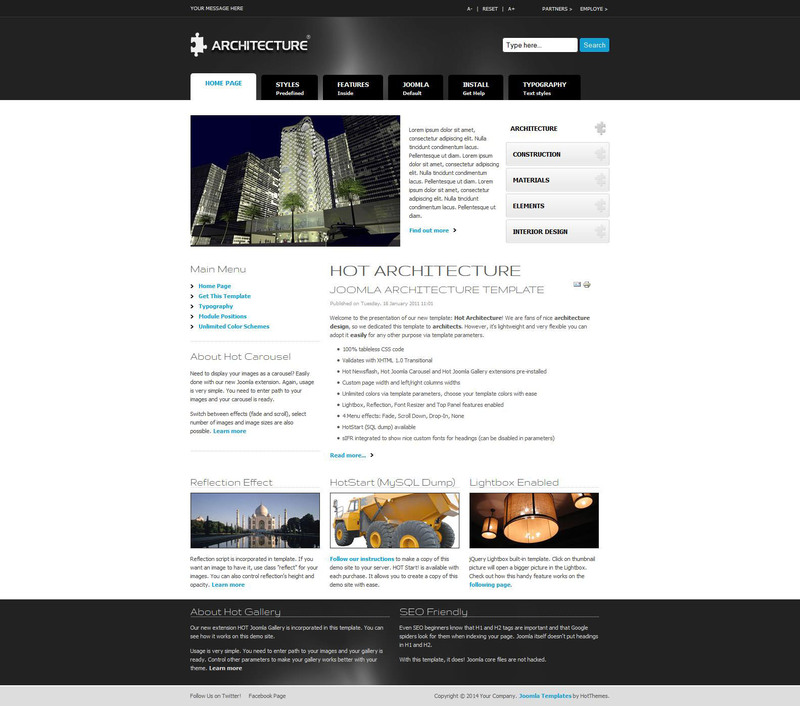 HOT Architecture - nice template architectural subjects with a simple design from developers HotJoomla. In the template provided 5 color schemes and it is possible to further adjust all colors through the control panel template. The package includes the expansion club: HOT Newsflash, HOT Joomla Carousel and HOT Joomla Gallery, which provides the user with a decent set of tools for the demonstration of any product. Fast loading pages is provided by fully optimizing the template files. Perfect for creating websites cards.